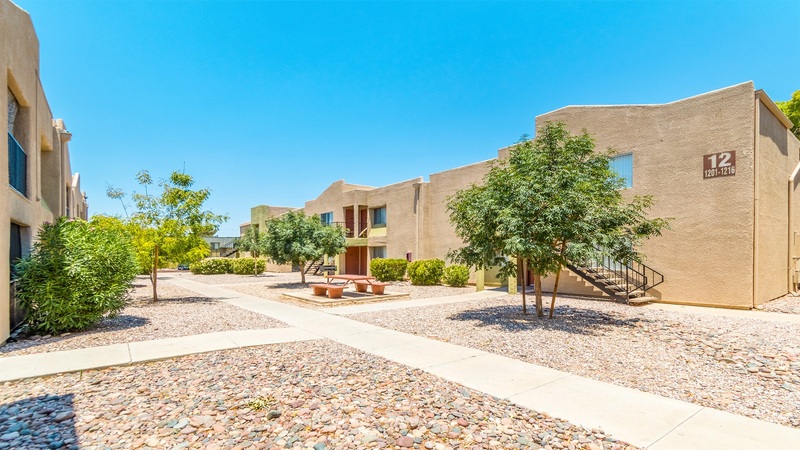 Phoenix, AZ – January 17, 2018 – ABI Multifamily, the Western US's leading multifamily brokerage and advisory services firm, is pleased to announce the $12,200,000 / $42,361 Per Unit sale of The Quails Apartments located in Tucson, Arizona. The Quails is a two story, garden-style apartment community, built in 1984 and 1985, which rests on approximately 8.37 acres. The property was built of frame and stucco, with flat and pitched roofs. The property boasts an attractive unit mix of 60 – Studio, 196 - 1 bedroom and 32 - 2 bedroom unit types, with a weighted average size of 534 square feet. "Tucson, as a whole, is receiving tremendous investor interest from across the country and world for that matter," states Alon Shnitzer, Senior Managing Partner, and lead broker for this transaction. "First, the region has experienced sustained job and population growth and secondly, perhaps more importantly, there is very little in the way of new multifamily construction to hamper the continued work force housing demand." The area surrounding The Quails, located a few miles north of Tucson International Airport, has witnessed tremendous economic investment and job announcements over the last several years. Major job announcements include Raytheon (2,000 jobs), C3 Call Centers (1,100 jobs), as well as, the development and building of World View HQ's SpacePort. "The Buyer, an experienced California based Arizona multifamily investment firm, has been seeking to expand its Tucson multifamily footprint since entering the Tucson market in 2015. The purchase of The Quails allows them to purchase a sizeable number of units to effectively leverage scale to enhance overall returns. Additionally, given the submarket's robust jobs growth and ever increasing population, rising 40%+ over the last decade, make it a very attractive investment."